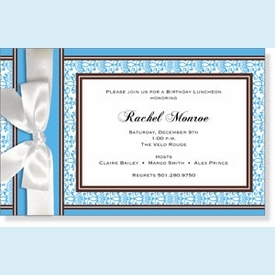 This sophisticated yet simple design can be printed either horizontally or vertically. 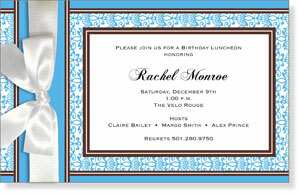 Includes a pre-tied white satin bow that simply loops around end of invite (easy!). NOTE: Only 5 boxes left!